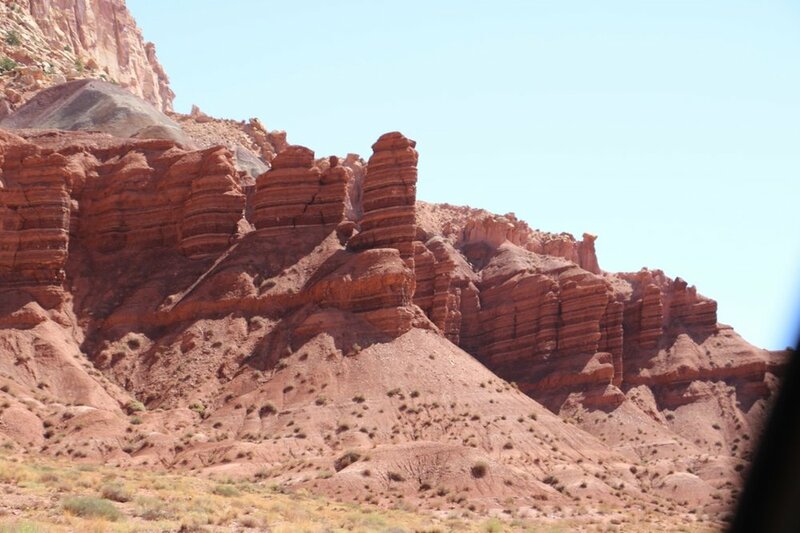 Capitol Reef and Bryce Canyon National Park! After four incredible days with my basecamp in Moab exploring Arches and Canyonlands, it was time to continue west destination: Bryce Canyon National Park. 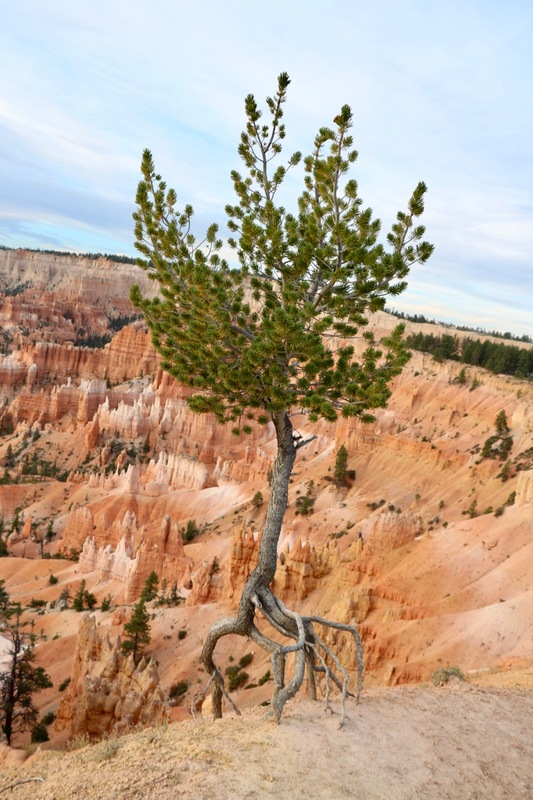 Of all the parks I have visited, I have had more people along the road say "Wait until you get to Bryce!" 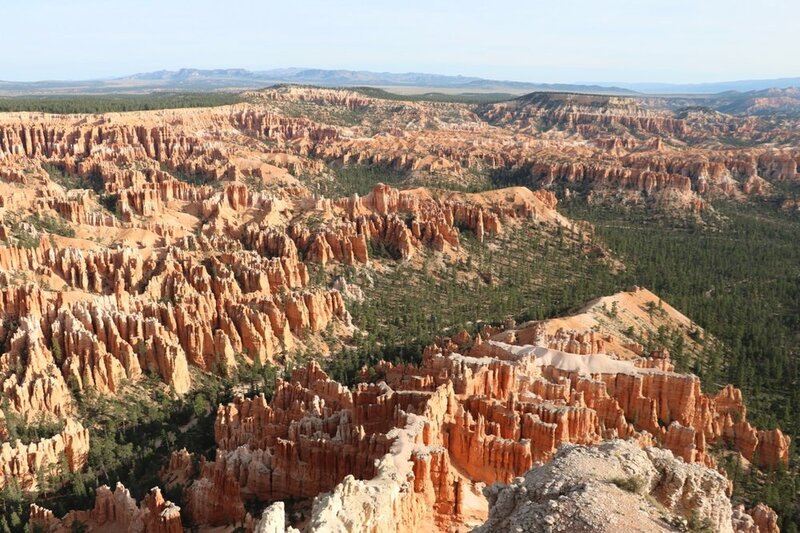 or "Bryce Canyon is our all-time favorite!". Needless to say, my already high expectations continue to rise over the last three weeks. Bryce seemed to be a crowd favorite and I was about to see why. 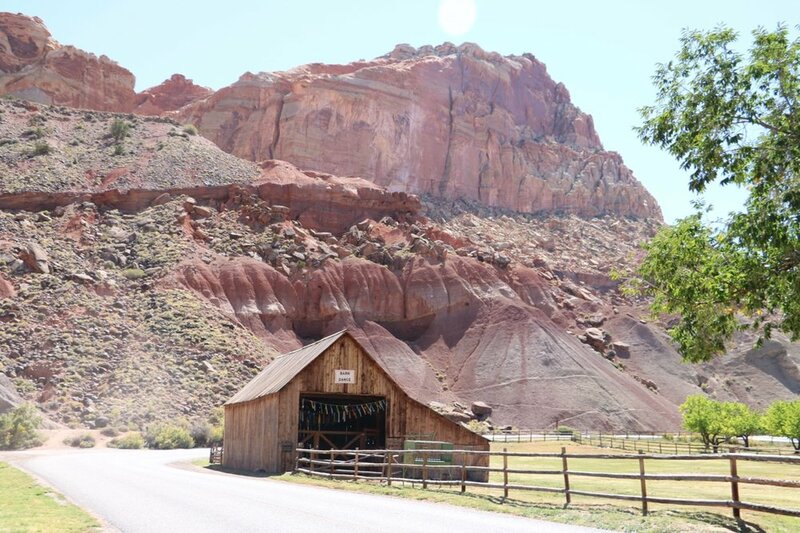 Now, I can't get ahead of myself as there were a few stops along the way as I made my way to Cannonville, Utah (my home base to explore Bryce Canyon). 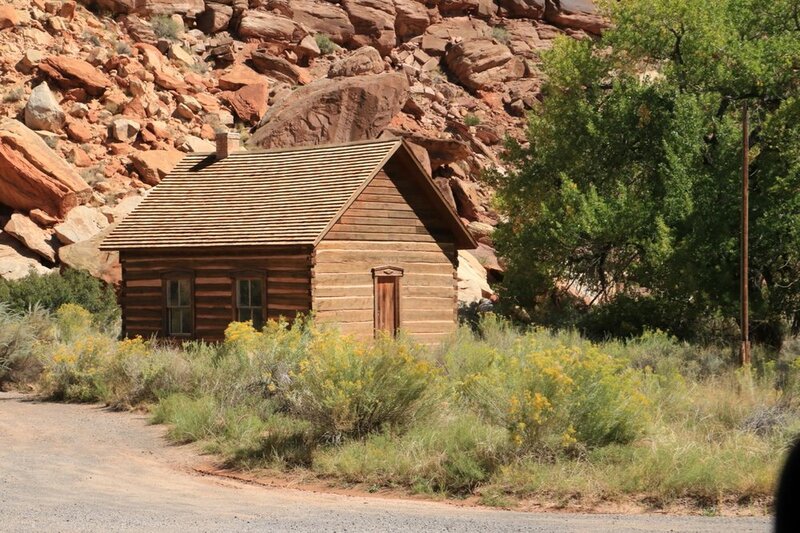 First stop - Capitol Reef National Park. 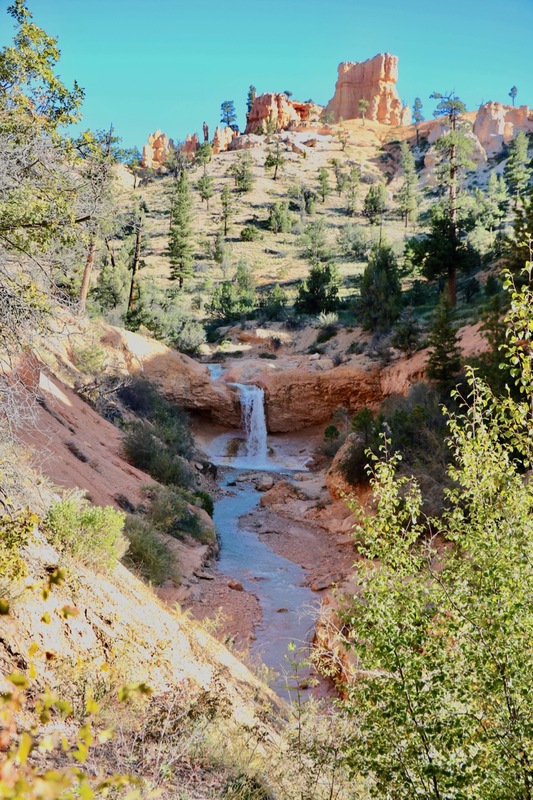 After a little hiking, a little pie, and a lot of photos shot, it was time to move on down the road toward Bryce. 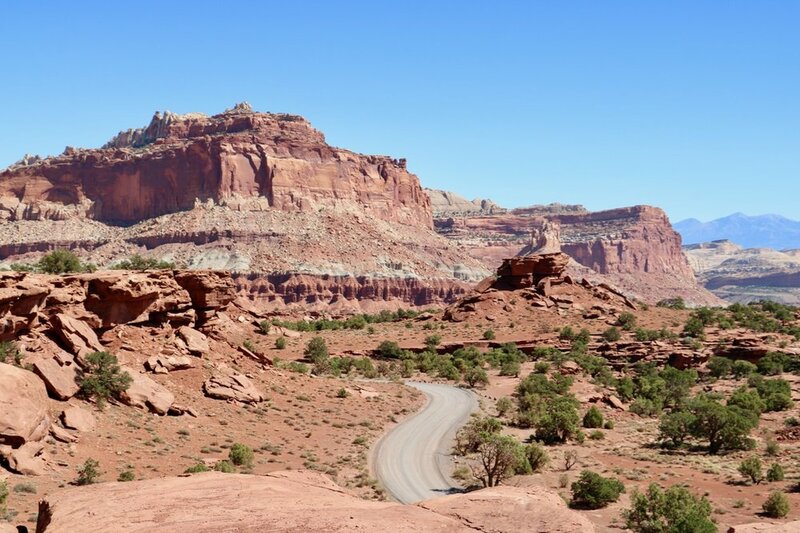 My route was the notorious scenic route 12 through the Dixie National Forest and through the heart of the Grand Staircase Escalante (I will fill you in on all the details of Grand Staircase in my next blog post as I spent a couple days exploring in the area, hold tight!) 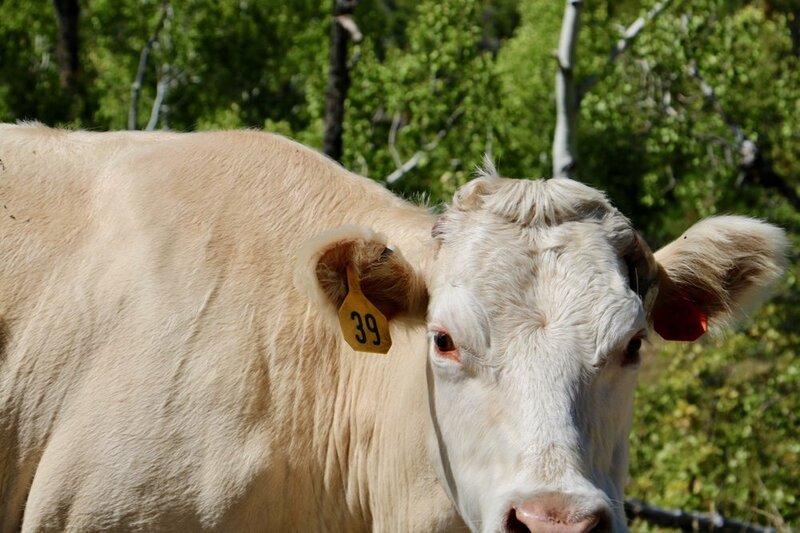 In the mean time - major landscape change again as I entered the Dixie National Forest and all at once felt right at home with the dense forest, winding, narrow roads and multiple cow sightings (and road blocks!) 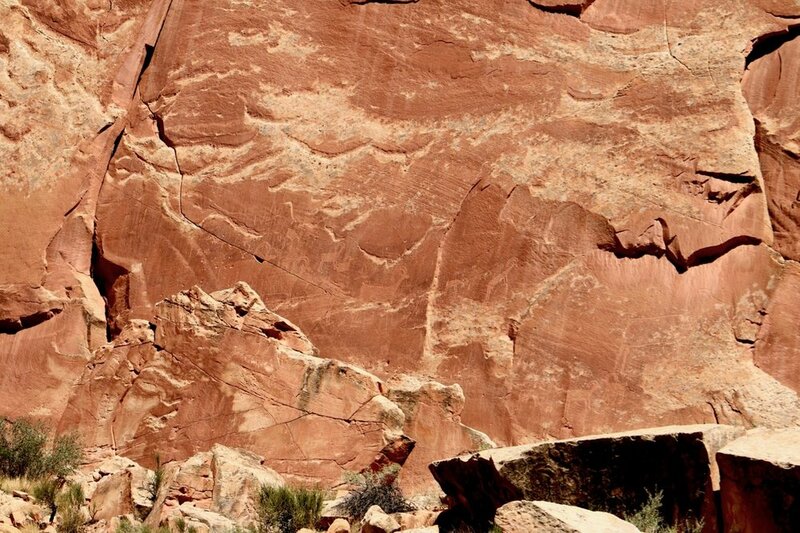 I swear a little piece of Vermont was sitting smack down in the middle of the Utah desert! Route 12 lived up to its reputation as the "Journey through Time Scenic Byway" Through switchbacks, vertical climbs, drop offs, and hairpin turns, it winds its way through forest, grasslands, barren slick rock, and breathtaking rock formations. Yes, i was stopped on two different occasions during the drive to allow open range cattle to meander across the road and yes, I had to get out of my car camera in hand to snap some shots of "Utah" cows much to the amusement of the family from Ohio stopped behind me taking pictures and video of the Vermonter photographing cows in Utah! (they obviously don't know me and my relationship with cows!) Who knows, I might end up on youtube! 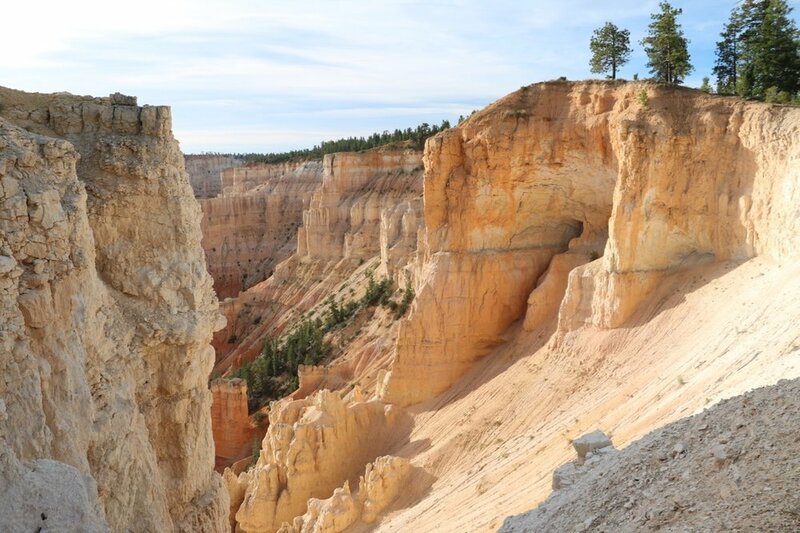 I eventually made my way to Cannonville - a good, yet short night sleep - up bright and early to get my first glimpse at Bryce Canyon National Park! I know I have said this before, but the delicate, complex, and otherworldly qualities of Bryce leave a person without words to describe it. It is a tiny park in acreage, but a giant in terms of the blow away geographical punch....sense words to describe this fanciful fairytale landscape fail me, I'll just let pictures do the talking!!! This constantly changing land of hoodoos, spires, slot canyons and narrow paths is like the most complicated labyrinth condensed into a densely packed valley, yet the change in the sun, time of day, and turn of your head make the entire landscape take on a different look! So much so, I was at a lose as to how to approach it with paint. Overwhelmed by where to begin looking down on the enormity and complexity of the amphitheatre of Bryce, I decided to don my pack and head down into the canyon to get a closer, in depth view of this natural phenomenon. 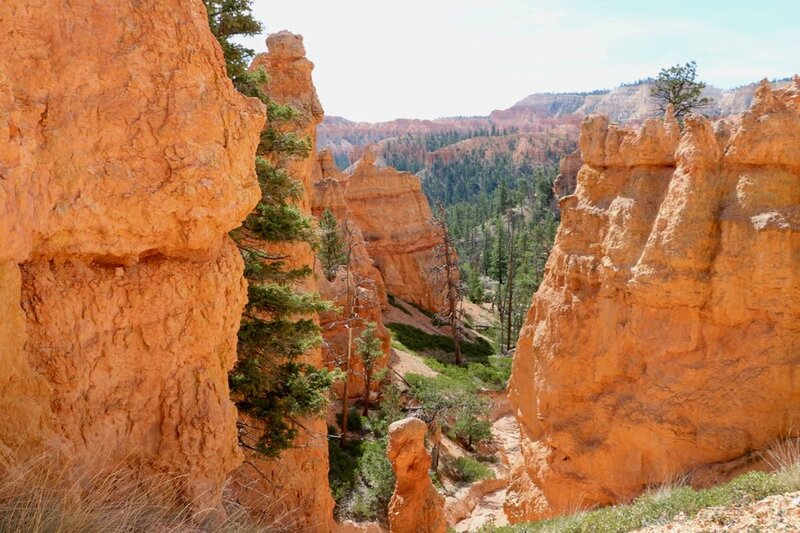 I headed out down the Queen's Garden trail gradually making my way down, down, down into the canyon surrounded by spiking hoodoos interspersed with soaring pines. As the sun rose higher in the brightest cerulean blue sky I have every witnessed, the orange of the stones glowed in vibrating intensity. always a bit anxious of hiking alone, I made friends along the way as I continued winding down, weaving in and out of rock formations along the narrowing path. 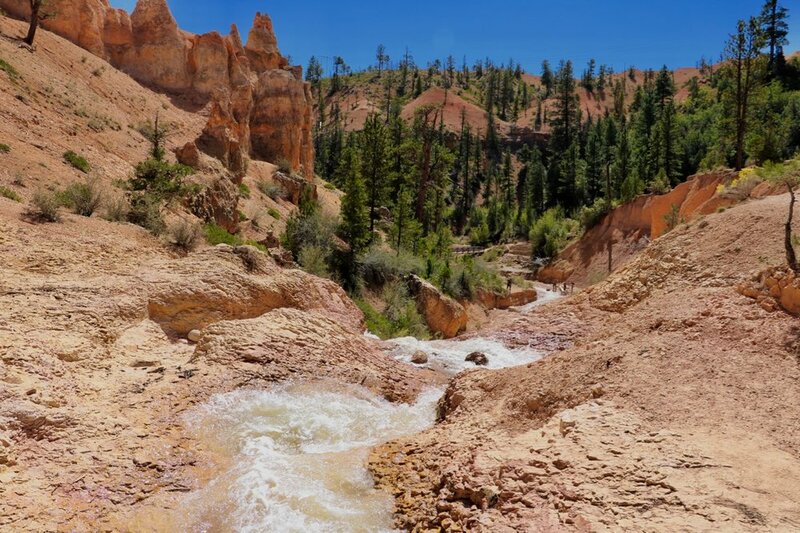 Switching on from Queen's Garden to Navajo Loop, I became keenly aware of "what goes down, must come up" as I was almost 2 miles DOWN in the canyon and would eventually have to work my way back up to the rim. 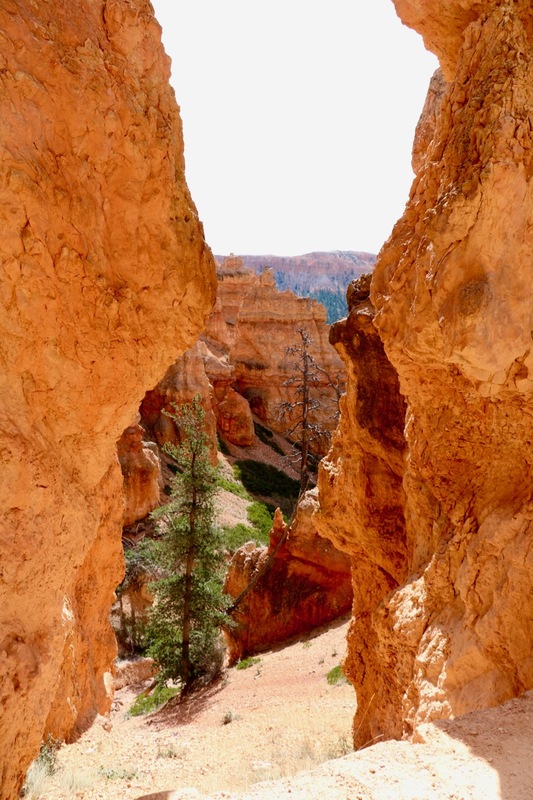 suddenly the drama began - moving from the hot sun bouncing off the white and orange stone into the narrow slot canyon and shadows of "Wall Street" with it's captive towering pines in it's chambers, narrow corridors, staircases, and steeps! The acquaintances made along the way became confidants, life lines, and teammates as we maneuvered our way up, up up the steep, intriguing trail back to the top. If I was in need of an up-close and personal viewpoint of Bryce, this was certainly it and filled with inspiration of art to be made! 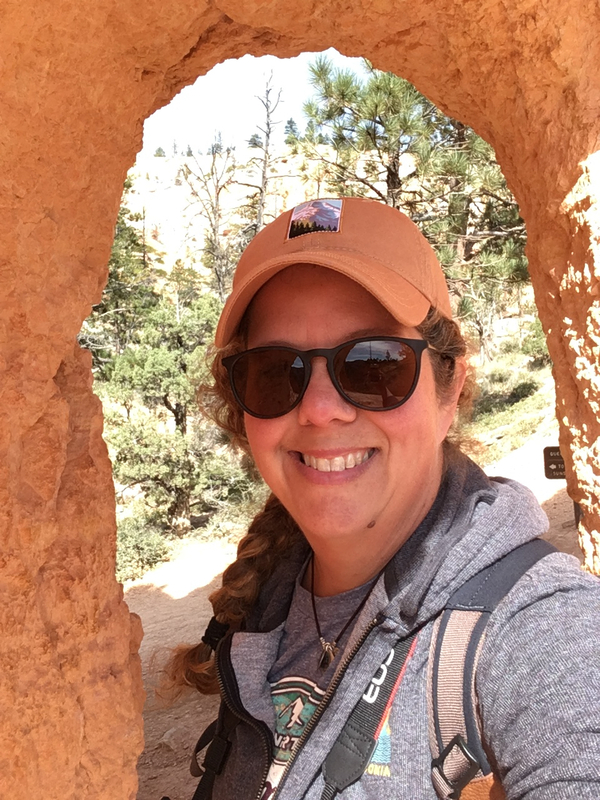 Interestingly, friendships and bonds made on the Navajo Loop were long lasting as I continued to see and connect with my fellow climbing mates as my visit at Bryce continued. Getting face time with rangers at Bryce was more of a challenge than at other parks as most were busy with general crowd control, parking, and directions. Admittedly understaffed and overworked, many commented on their need for more support and it's affect on ranger programs and other aspects of the educational aspects of the park. Doing a bit of research, it seems this is a direct consequence of budget cuts and need of infrastructure improvements on a small park that is not able to handle the quantity of visitors that want to come and experience it. 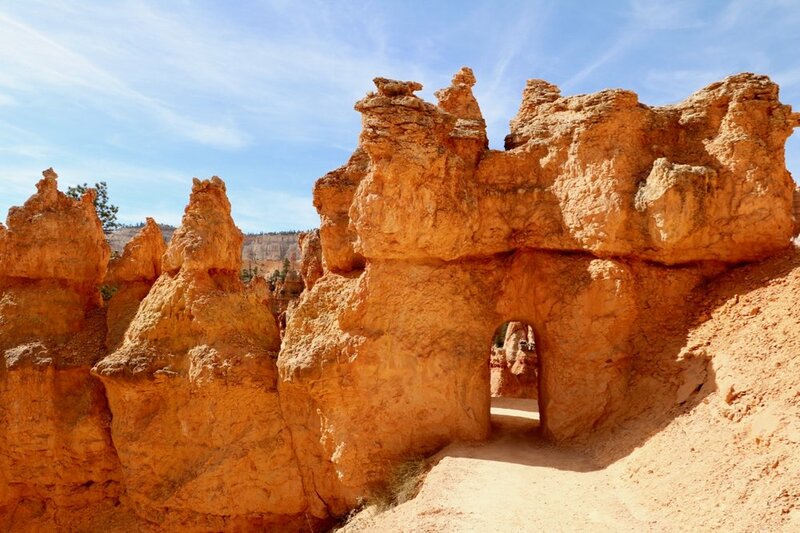 Like Arches, Bryce may be faced with having to (for the first time) and quite controversially have visitor caps and pre-reservations in order to visit. This is a direction that the rangers and employees don't want to go in as they reiterate that National Parks are "the people's parks" and should be accessible 24-7 to all it's "owners" meaning the American public. The solution: restore funding, address road and infrastructure issues, and equally value education/habitat work with general crowd control and sanitation needs. 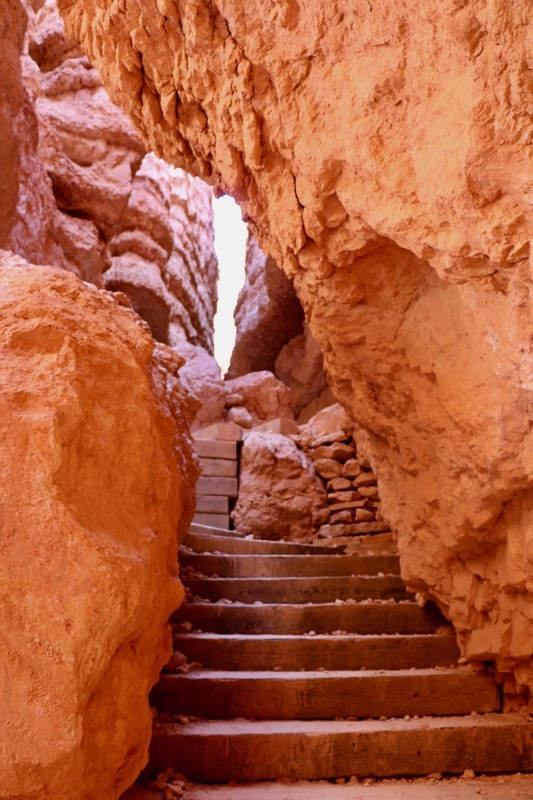 Enough for tonight, more tomorrow about Grand Staircase Escalante and Black Canyon of the Gunnison - stay tuned! P.S. - If a person had to claim a favorite so far and the competition is incredibly steep - Bryce takes the top prize...for now! 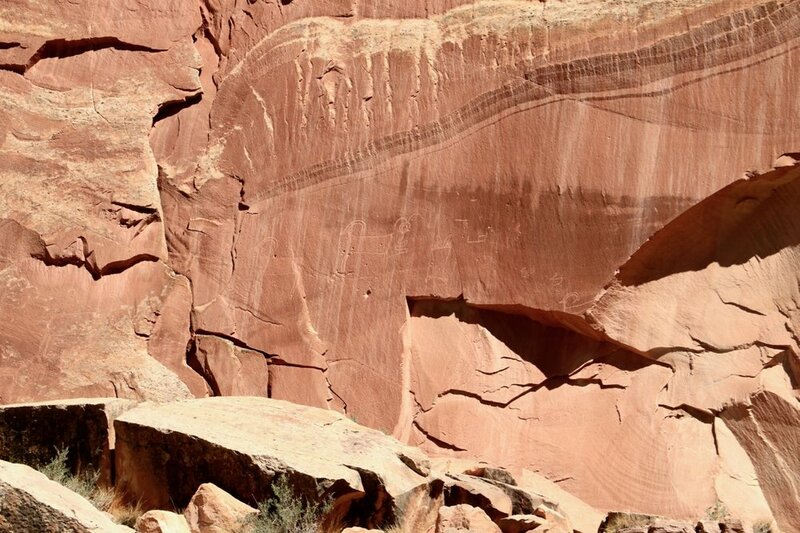 Older PostMoab, Arches, and Canyonlands!